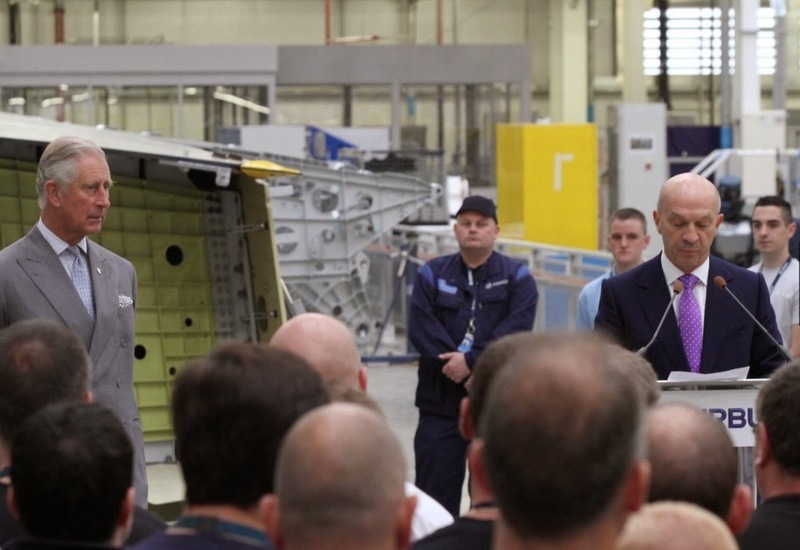 A350 XWB News: The Prince of Wales visits Airbus-Broughton site where A350 wings are assembled. 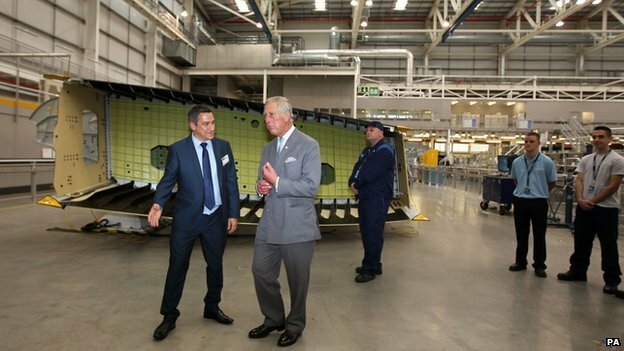 The Prince of Wales visits Airbus-Broughton site where A350 wings are assembled. 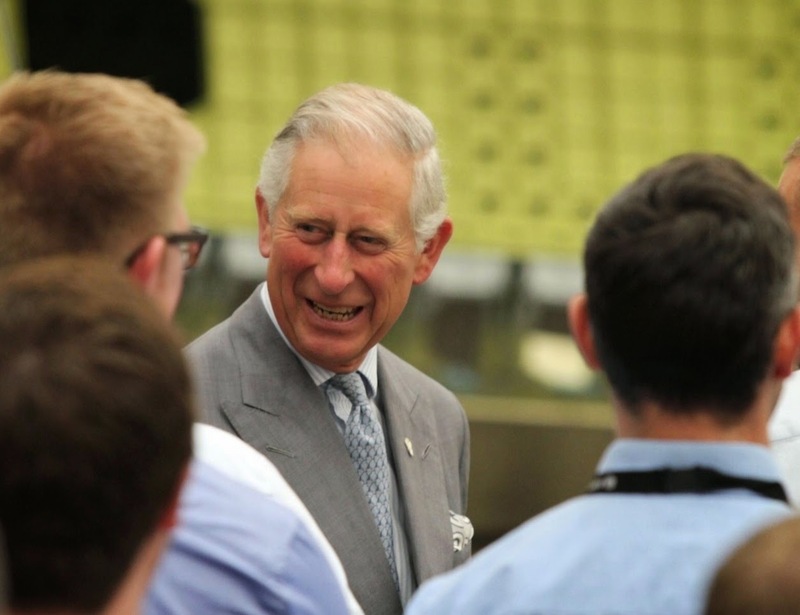 The Prince of Wales joined staff at the Airbus plant in Broughton, North Wales, to mark the 75th anniversary of the first aerospace factory opening on the site in 1939. 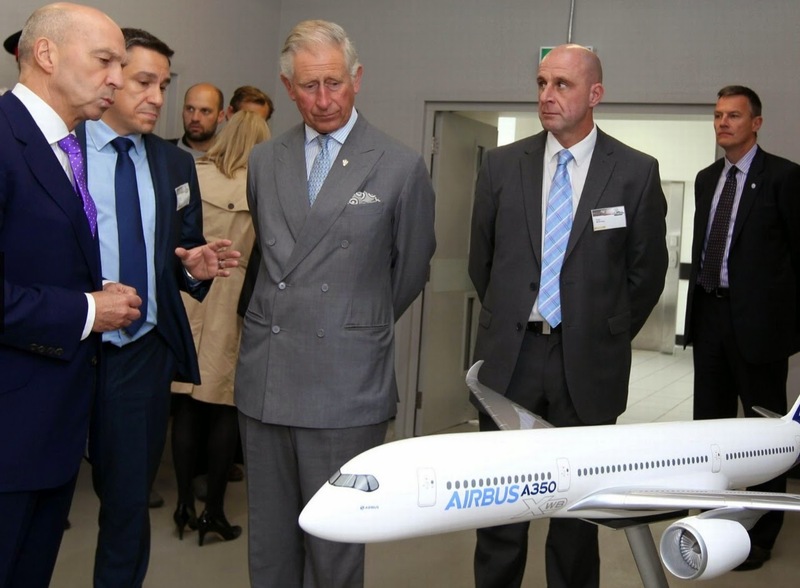 His Royal Highness opened a visitor centre which charts the history of the site from the first Vickers Wellington aircraft being manufactured to the pivotal role Broughton currently plays in construction of the new Airbus A350XWB aircraft. 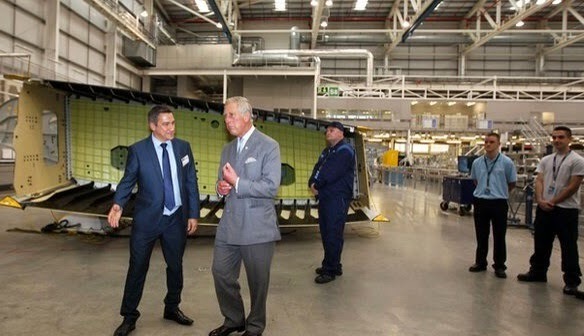 The Prince also visited the hi-tech North Factory where the A350’s wings are manufactured and presented Airbus with the Queen’s Award for Enterprise, which the company won in the International Trade category earlier this year. 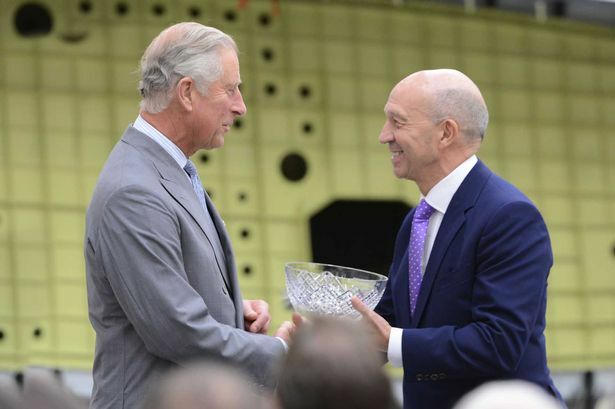 The Prince of Wales presented the award to Tom Williams, director of Airbus Operations Ltd, and EVP of Programs in front of some of the 6.000 employees working at the Broughton plant. He also viewed some wings destined for A350 customer Finnair.